A Journey Into Endurance. Character. Confidence. Hope. 1 or more: $16.99 ea. 10 or more: $13.59 ea. 50 or more: $11.89 ea. 100 or more: $11.04 ea. Meet the new cultural darling: Grit--that quality at our core that allows us to persevere in the face of fear, confusion, and pain. National best-selling books and viral TED Talks have launched the subject into the stratosphere, touting it as the tool for personal and professional success. But Rick Lawrence, podcast host and author of The Jesus-Centered Life, isn't content to let culture have the final word on grit. Because without connecting grit to a passion for Jesus, it's just a self-help trend doomed to disappoint. Spiritual Grit seeks a better outcome by exploring why Jesus sometimes chooses to inject hardship into our lives rather than remove it. From the value of taking risks to the challenge of letting loved ones take personal responsibility during adversity, Lawrence paves an insightful and practical path toward greater endurance, confidence, and character. Without Jesus, grit is just a gimmick. With Jesus, grit can infuse the world--and our lives--with hope. 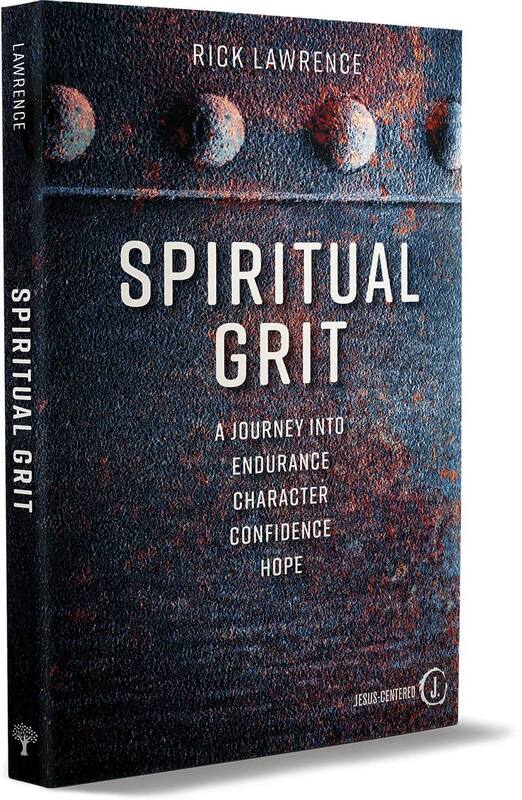 Spiritual Grit is ideal for Christians who feel stuck in their personal trajectory, for parents interested in helping their kids develop spiritual grit, and for anyone wanting to invest in their spiritual, emotional, and intellectual growth. Rick Lawrence is an author, ministry leader, and the longtime executive editor of Group's Simply Youth Ministry resources. 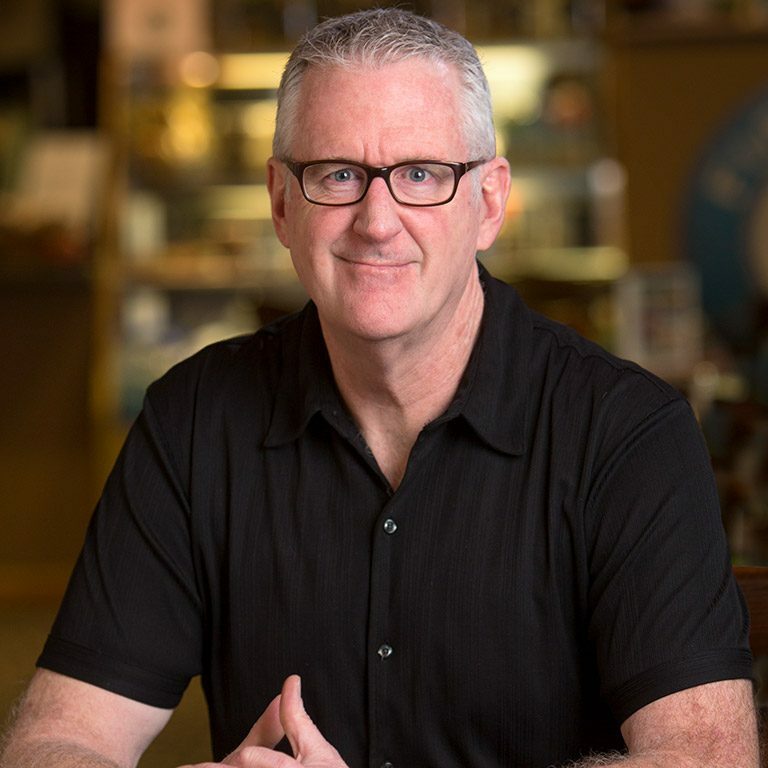 He’s the General Editor for the bestselling Jesus-Centered Bible, and is the author, co-author, or editor of 38 books, including The Jesus-Centered Life; The Jesus-Centered Life: 40 Devotions for Teenagers; and the small-group curriculum In Pursuit of Jesus. He's married to a spitfire Irish-Italian, has two teenage daughters, and leads a weekly small group for teenagers in his home. Why do some people thrive during challenges, and others don’t? The answer is grit: the strength at our core that fuels a scrappy response to threats, fear, confusion, and pain. Two factors are central to growing a gritty core, but have remained under the radar: 1) A passion for something higher than yourself, and 2) Everyday life practices that help us nurture the strength we need to move through whatever life throws at us. Without Jesus, grit is just a gimmick. With Jesus, grit can infuse the world—and our lives—with hope. Rick Lawrence is an author, ministry leader, and the longtime executive editor of Group’s Simply Youth Ministry resources. He’s led The Simply Youth Ministry Conference and is co-creator of the 50-city Youth Ministry Local Training tour. He’s the General Editor for the bestselling Jesus-Centered Bible, and is the author, co-author, or editor of 38 books, including The Jesus-Centered Life; The Jesus-Centered Life: 40 Devotions for Teenagers; Skin In the Game; Jesus-Centered Youth Ministry; Shrewd; Sifted; 99 Thoughts On Jesus-Centered Living; and the small-group curriculum In Pursuit of Jesus. He’s married to a spitfire Irish-Italian, has two teenage daughters, and leads a weekly small group for teenagers in his home. "God calls us to a risky and sacrificial faith. And yet even Christians give into fear-mongering and the pitfall of ‘playing it safe.’ Where in the Bible does it say, ‘Don’t take risks for your faith'? Which of Jesus’ disciples avoided danger in witnessing to the risen Christ? Spiritual Grit is an excellent exploration of the mettle necessary for following Jesus, who literally loved us to death and who invites us on an often-reckless adventure to change the world for him." President of World Vision U.S.
"In their 2010 remake of the 1969 John Wayne classic True Grit, the Coen brothers chose as the movie’s theme song the camp-meeting hymn ‘Leaning on the Everlasting Arms.’ Rick Lawrence’s scintillating study of what it means to live in the grip of ‘spiritual grit’ is a handbook in ‘learning to lean’ on those ‘everlasting arms.’ Spiritual Grit is a theological counterpoint to Nassim Nicholas Taleb’s excellent Antifragile (2014), but is more fun and illuminating to read." "We’ve seen an explosion of literature on the importance of character traits like resilience, endurance, and grit. Yet as I’ve read the books on the topic, something was missing. Actually, someone. How does grit relate to God? In Spiritual Grit, Rick Lawrence makes this vital connection, demonstrating how a ‘desperate dependence on Jesus’ helps build this cardinal virtue in our lives. Lawrence is a master storyteller. His powerful anecdotes and insights will equip and inspire you to take the hard, uphill path that ultimately leads to life." "Like never before, our culture is in desperate need of Christ-followers who will do things that others won’t do, love in a way that doesn’t seem possible, and live with a courage that is divinely inspired. Our world hungers for people with spiritual grit. Rick has written a book that both encourages and challenges us to become the sort of Christ-followers that we know we’re called to be, the sort of Christ-followers that embody true grit. I can promise you that this book will fuel your passion for Jesus as it has mine." "When it comes to growing into the mature men and women God is calling us to be, we too often look for the easiest path. We want quick results. We look for low-cost solutions. We look for ease. But what we really need is spiritual grit. That’s a core message of Lawrence’s book, and he drives it right to the heart with a beautiful combination of grace and honesty. All true growth is by nature uncomfortable, and Lawrence not only does a great job demonstrating how developing spiritual grit is essential to following the real Jesus, but also shows us how to do it, starting today." "Our culture sets twin idols on pedestals in our hearts: the gods of Comfort and Convenience. Sometimes it seems we would follow them anywhere: eating things that are no good for us and shortchanging those we love by shirking opportunities to serve. Through deep study of Jesus in the Gospels and lots of examples from his own life and the lives of others, Rick Lawrence shows us how and why it’s better to stick with Jesus our shepherd, following him through the valley of the shadow of death, rather than to hang with the god of this age on the shortcut, business-class, direct flight to Easy Street." For press inquiries regarding Spiritual Grit, please contact Craig Cable at ccable@group.com.